The young talented team of Nosach Films once again was able to get hundreds of enthusiastic audience present on 24th of July 2017 at National Museum Auditorium to the premier show (screening) of their much awaited short film GULI. As expected they got laurels, clapping and joys shouting as they did receive on the event of their previous popular short film “HASHT ROCH” (8 Days) about three years back at the same venue. GULI is the name and story of an woeful elderly working woman who never surrenders to the miseries of poverty. Her husband is an addicted waste who, instead of supporting, becomes a useless liability maximizing the agonies of the family. GULI has courage and all the hopes on her school-going ambitious daughter and is determined to get her education completed and enabling her bring pride and honor to the family. Emran Sakeb, a Lyari youth, is basically a matured, talented and progressive poet but has a creative mind too showing his bright colors in the film art. 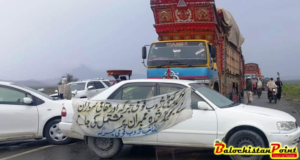 Adil Bizenjo, along with some ambitious youngsters, is another man of high abilities. They collectively run the Nosach Films. While elaborating the theme of the short film GULI, the director Emran Sakeb informed the jam packed gathering that Guli was a symbolic character who exist in the man-dominated society at the poor neighborhood and slum areas. In spite of being a woman she prefers to face the ordeals of life with courage and hope. This is the message he and his team tried to convey through this short film. It is not possible to ignore the quality and commitment which we saw in the performance of the tiny cast of the film. 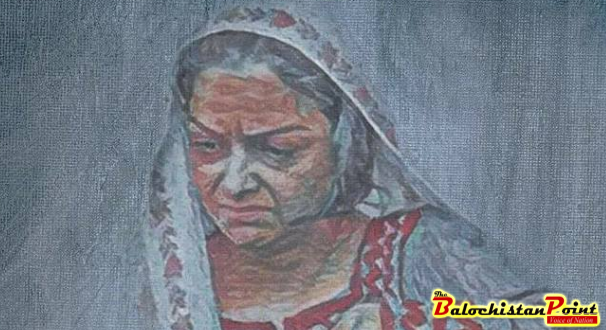 Apart from the short but impressive appearance of Majid Baloch in the character of an addicted husband, the young TV artist Malaika Baloch was just super and splendid who made the character of an aged lady Guli a memorable one. Dr.Imran, anchor person of VSH TV, taking the opportunity told the audience how the veteran and most senior TV artist Talat Hussain on one occasion paid tribute to Malaika Baloch in Urdu dramas for her magnificent performance. Credit also goes to the marvelous job done by the make-up man, as pointed out by well-known young poet Waheed Noor. 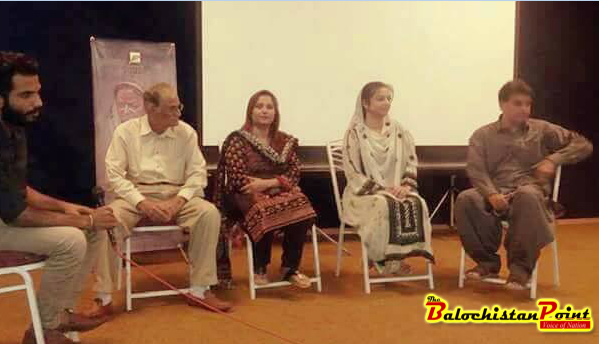 Before screening of the film, Muzammil Baloch presented a melodious musical performance. Much impressive was presentation of Mahin Abdul Wahid’s Rock Band theatre performance spreading message of peace, love and literacy. The film screening was followed by a panel discussion by an humanist and most active member of civil society Ms Naghma Shaikh and Emran Sakeb. This writer also had a minor participation in it. The event was graced by the distinguished figures including the Chief Guest Malik Fayyaz, VSH CEO Waja Ahmed Iqbal and many males and females from all walks of life. Seeing the mental strength and dedication usually found in the young lot of Nosach Films, it would not be long when we will see them in action once again soon.